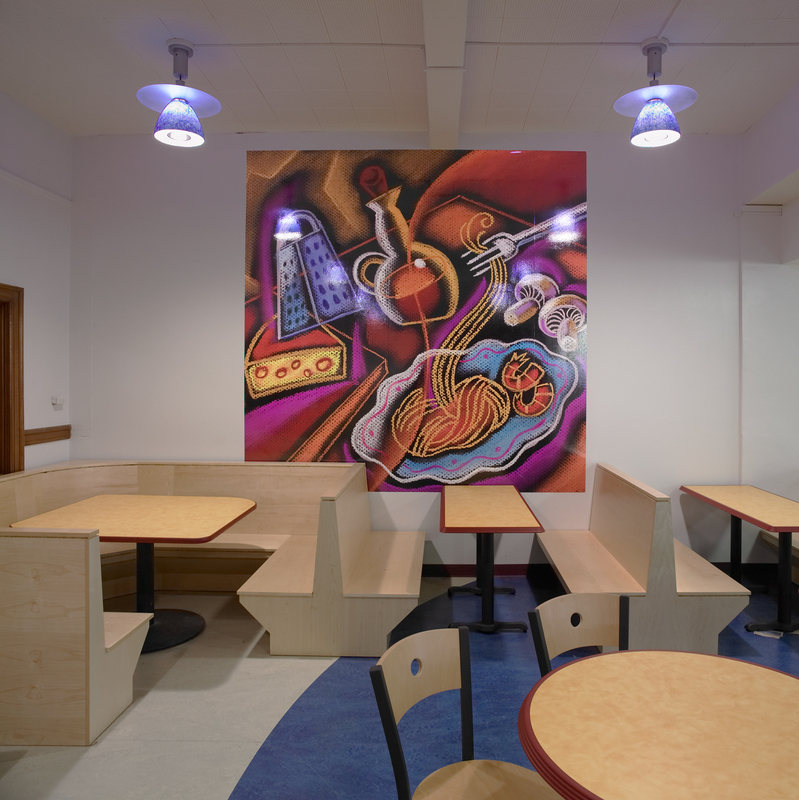 Our task on this project was to work closely with the DPS Food Service Director and his staff to brainstorm a design approach for the development of a new food service delivery system. Recent statistics show that there continues to be an erosion of the number of students that choose to utilize the food service program within Denver Public Schools. 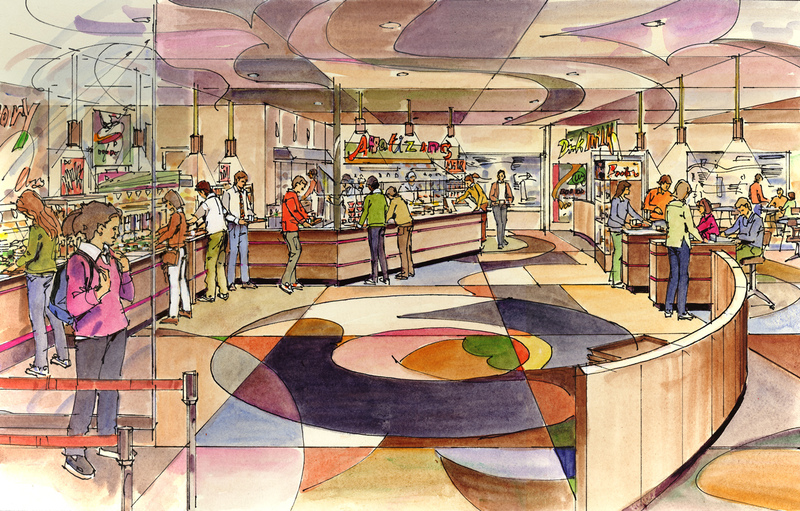 A new food service delivery approach recognizes there has been a revolution associated with designing food service facilities. 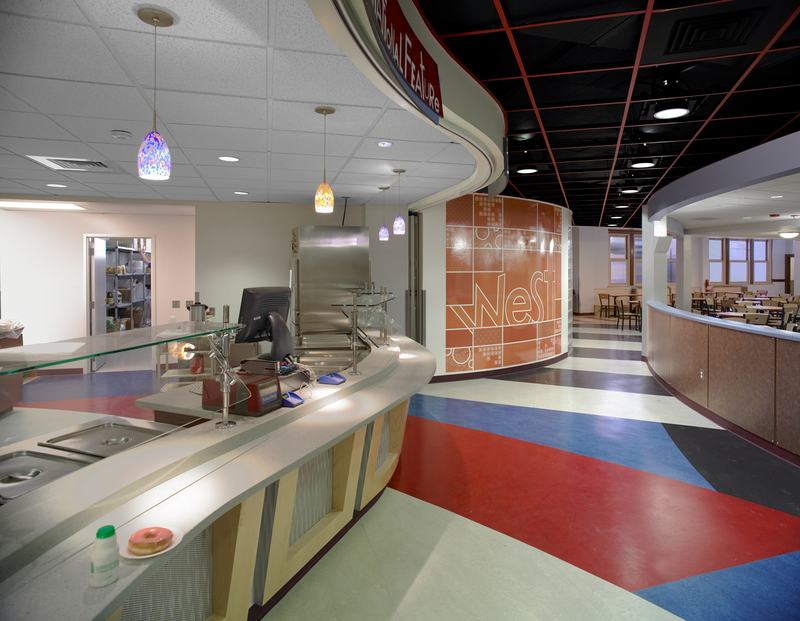 DPS facilities are in a sense, in competition with state-of-the-art commercial food service marketing efforts. 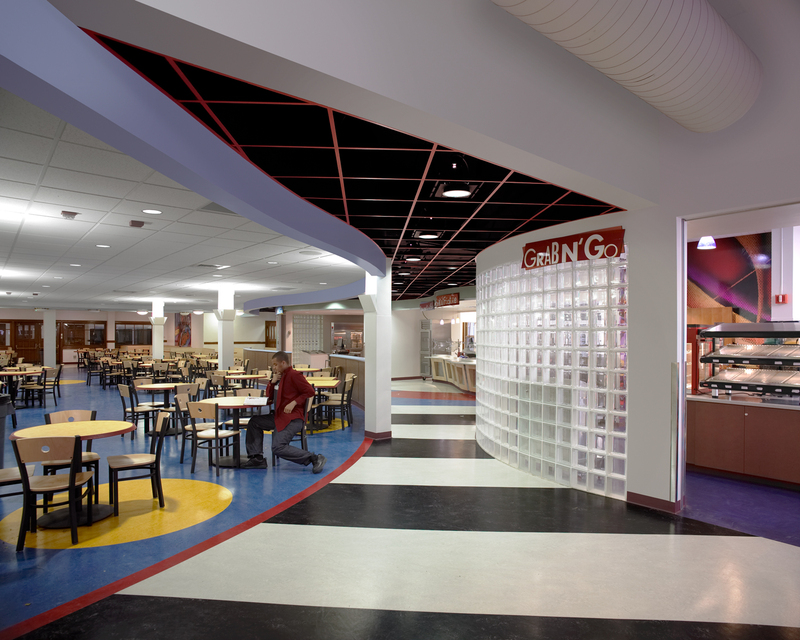 The food court concept used at West High School offers the student a wide choice of food for both breakfast and lunch. 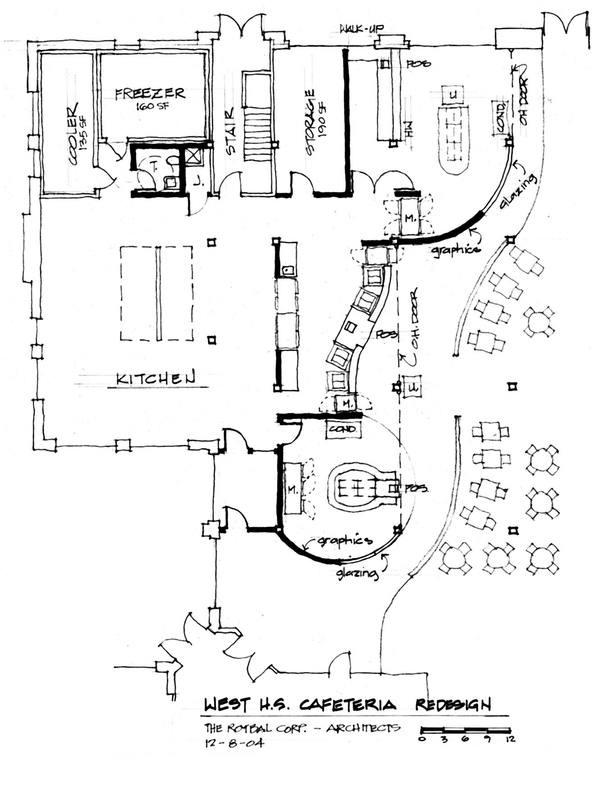 The interior design will offer a unique ambiance ranging from bright colors, specialized lighting, graphics, artwork, modern floor and ceiling patterns and materials, and state-of-the-art furniture.